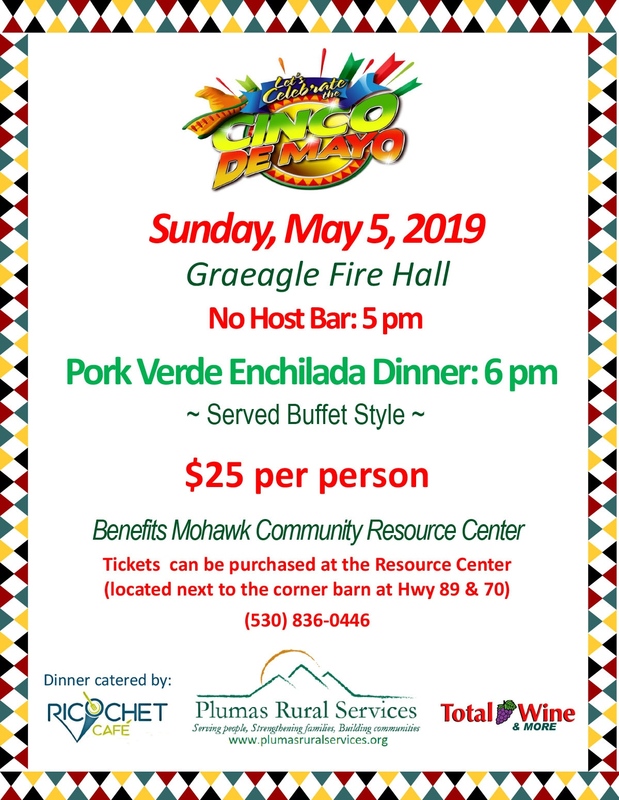 The Mohawk Community Resource Center will present the 4th annual celebration of Cinco de Mayo at the Graeagle Fire Hall on Sunday, May 5, 2019. Doors open at 5:00 pm and a buffet style meal will be served at 6:00 pm. The cost is $25.00 per person with tickets available only at MCRC, at the corner of Hwys. 89 and 70 in Blairsden. Revenue from the celebration is a major source of the funds necessary to keep the doors open at the Resource Center. Bob Marshall, General Manager of Plumas-Sierra Rural Electric Cooperative, will be the featured speaker. PSREC is a Generation, Transmission, and Distribution utility. Its' generation assets are diverse, but PSREC is sole owner of a 6 MW low-carbon co-generation power plant and a 2.5 MW solar plant. Bob will speak about the changes occurring in the electric power industry and will discuss alternative sources of electricity such as wind and solar and the impact they are having on rates. Ready for exciting camp activities and discovery at Sierra Nevada Journeys? Enjoy kayaking on the pond, archery at the range, swimming at the pool, and climbing on the high ropes course while your cabin mates cheer you on! Join your friends for all-camp games, science experiments, nature exploration, and fun-filled competitions that vary each session. Don’t miss this wonderful opportunity to make life-long friends and create ever-lasting memories. Registration 3 PM. Pick up 10 AM. For more information, email snjcamps@sierranevadajourneys.org. Come relax and enjoy the outdoors and summer with us! If you are a teen who wants to get away from it all, then this camp is for you. Enjoy an opportunity to relax, laugh and have fun with your peers in the Sierra Nevada Journeys summer camp setting. This program is exclusive to teenagers who want to have a camp experience that is separate from the younger Sierra Nevada Journeys’ campers. Spend a full day on the challenge course using both low and high elements, spend a night camping out under the stars with your group, and work with your leaders to plan the other activities during your week. This camp is filled with space for you and other teens to build strong, life-long friendships that have always been a part of the camp experience. Note: Campers will be staying in ground level tents with other campers of the same gender. The bathrooms (portable restrooms) are a short walk away from the tents. Campers will have access to hot-water showers and flush toilets in the nearest building (less than 80 yards away). This centrally located unit also has its own fire pit and picnic tables. Enjoy the summer solstice by strolling between three local Quincy gardens to taste wine or beer and enjoy tasty themed appetizers. Are you ready for the ultimate summer trip before school starts? Join us for a week of fun including a four-day, three-night backpacking trip. Arrive at camp for a day of team building and planning a group trip. Once your backpacks are prepped, we’ll hit the trail. Whether this is your first time camping or you have hiked the Pacific Crest Trail, this trip is for you! Our knowledgeable staff will guide you to beautiful lakes, amazing meadows and breathtaking mountain views. Campers in this program should be able to hike up to seven miles a day with a backpack weighing 25+ lbs. Your week also includes activities such as the challenge course and swimming at the pool. Registration at 3 PM; Pick up at 10 AM. For more information, please email snjcamps@sierranevadajourneys.org. Come out and play! Arty-Parts is raising funds for Plumas Christian School. We’ll learn to paint a fun landscape with friends!